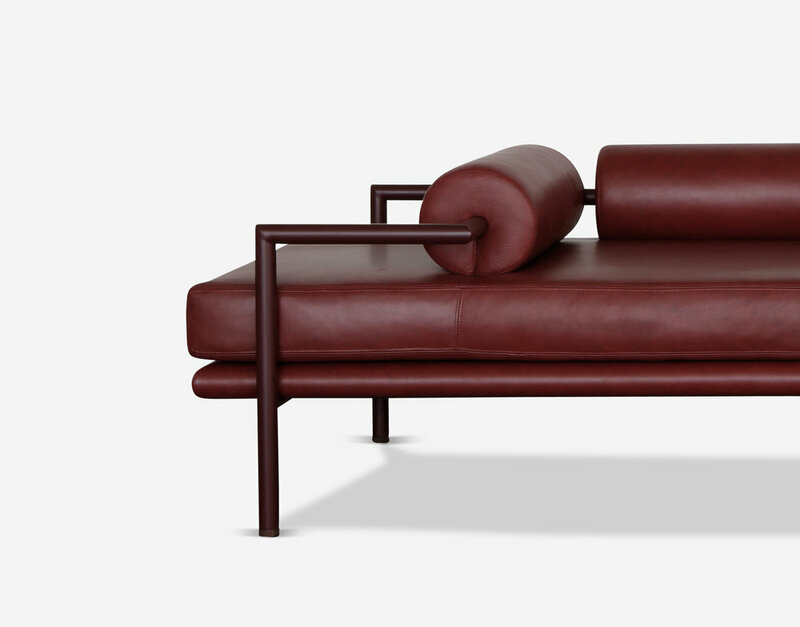 Inspired by the architecture of Luis Barragán, the Dorcia is a unique piece that focuses on form and function. 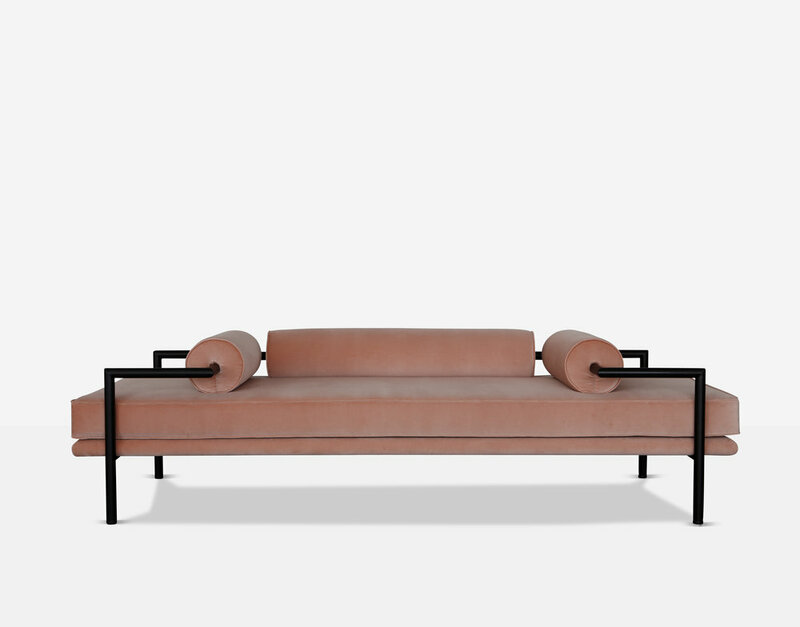 The bolsters serve as head rests, arm rests or low back rests that divide the daybed into central seating for two and individual seating on the sides. The various seating options and clean design make this an ideal piece for both residential and commercial spaces.